You can’t see them, but there are electromagnetic waves all around us. They are created by the Earth’s magnetic fields. They are also emitted from many of the devices we use, such as radios and cellphones. While electromagnetic waves by themselves don’t pose a threat, they can be manipulated by thieves. In the case of EMP, the electromagnetic fields could knock down the grid – quite literally plummeting us into a dark age. That’s where a Faraday cage comes in. A Faraday cage is a simple device that blocks electromagnetic fields. Here’s what you need to know about Faraday cages and why you might need one. The science behind the Faraday cage begins with Benjamin Franklin in the 1700s. When he wasn’t busy flying kites with keys on them, Franklin was doing all sorts of other experiments with electricity. In one experiment, he electrified a silver can. Then he put a cork ball on a silk thread (both non-conductive). When he dangled the ball outside of the can, the ball was drawn towards the walls of the can. But, when he lowered the ball inside of the electrified can, the ball wasn’t drawn towards the sides. Franklin was at a loss to explain why this happened. 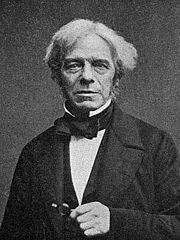 Many years later, an English scientist named Michael Faraday took Franklin’s discovery a step further. Faraday found that, when you charge a conductive material, the charge is only present on the surface and not on the interior of the conductor. 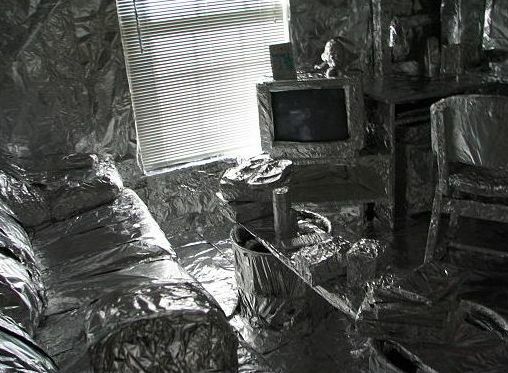 To test this, he lined an entire room with foil and then used a generator to charge the foil. He then put an electroscope (which detects electrical charges) in the interior of the room and found that there was no charge going through. This led to the invention of the Faraday cage in 1836. A Faraday cage can be any sealed enclosure which has is an outer layer made from a conductive material and an inner layer made from a non-conductive material. For example, a simple Faraday cage could be a filing cabinet lined with Styrofoam. The non-conductive lining prevents the charge from getting to the contents inside. Wait, the Faraday cage absorbs pulses?!? A magnetic field can be thought of as a force that has both strength and direction. If it is met with an equal force of exactly opposite direction, the forces will cancel and the net force will be zero. In layman’s terms, the pulse travels all around the conductive outer layer of the Faraday cage. It meets with other pulses and they cancel each other out. Faraday cages are often demonstrated with Tesla coils. 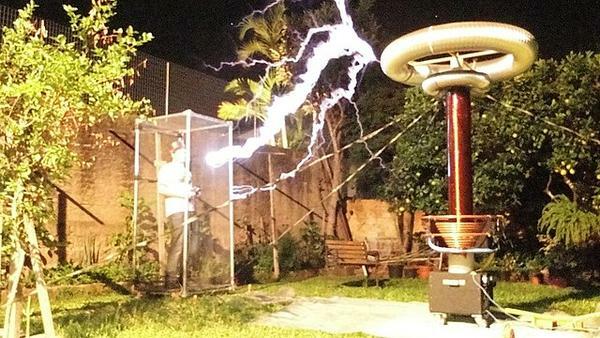 You may have seen a Faraday cage in a science museum (often demonstrated with a Tesla coil). But there are actually Faraday cages all around us. You might even be sitting in one now. Here are just some examples of Faraday cages in everyday life. 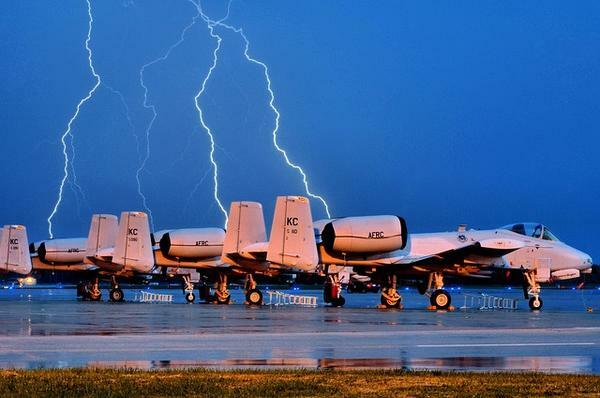 Have you ever thought about why it isn’t dangerous to be in an airplane during a lightning storm? After all, a plane is a giant piece of metal flying in the sky and it is going to draw lightning to it. Well, it turns out that airplanes do get hit by lightning all of the time – but that the plane acts as a giant Faraday cage to protect the people inside of it. The same goes for your car. If your car gets struck by lightning, it is the Faraday cage effect which protects you – not the rubber tires. 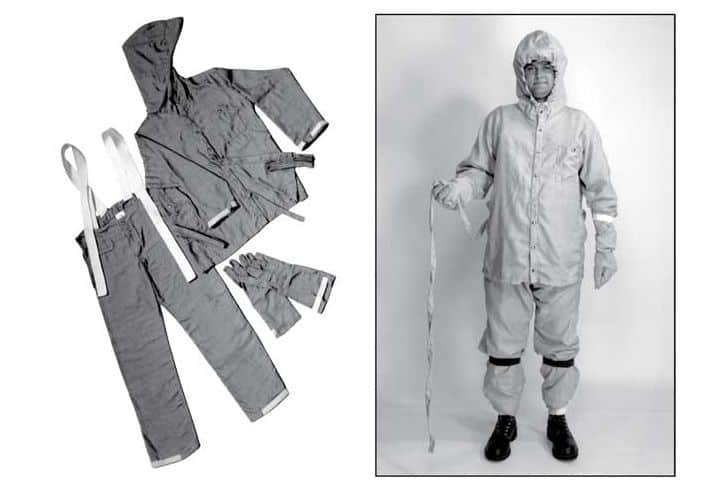 A Barehand conductive suit made by Hubbell Power Systems. Lineman working on power lines may wear special suits called “barehanded suits” (or conductive suits) which use the Faraday principle. This lets them work on live wires with their bare hands! 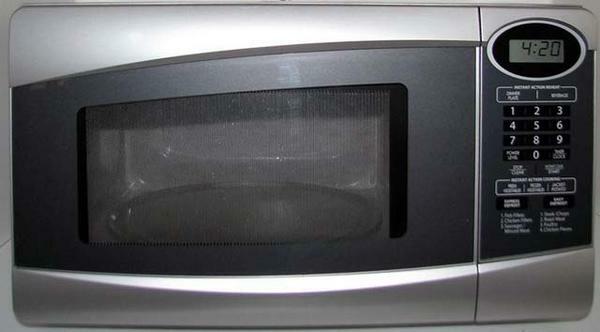 Microwave ovens have metal interiors. These, along with the mesh screen over the door, act as a Faraday cage to prevent the microwaves from leaking out while in use. If the door didn’t have that mesh, the microwaves would be able to escape. When evidence is on a computer, phone, or other digital device, criminals could completely wipe the data off the device. To prevent this, some police departments store digital evidence in Faraday cages. Magnetic resonance imaging machines are sensitive to radio frequency signals. To protect the integrity of the scans, the MRI scan room is basically a big Faraday cage. Many electronics are susceptible to electromagnetic fields. To protect them, many devices have Faraday cages built into them. For example, coaxial TV cables typically have copper braiding that acts as a Faraday cage. 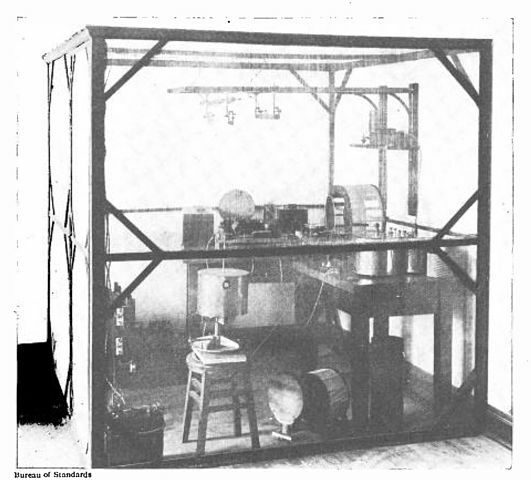 This Faraday cage was used by the Bureau of Standards in 1928 to protect sensitive equipment. Why Would You Need a Faraday Cage? Up until recently, there wasn’t much interest in Faraday cages. But, as our world becomes more digital, people woke up to the their uses. When Micah Flee met with Edward Snowden, the first thing he did was put his phone and devices in a Faraday bag. Why? Because hackers can easily tap into our devices and spy on us. It is for this reason that Brexit Secretary David Davis kept all his documents and electronics in a Faraday briefcase. In the wake of NSA spying, there was a lot of talk about using Faraday cages and even “Faraday wallpaper” to keep the government out of communications. Note that Faraday cages aren’t perfect. As Tech Republic reports, a new method called the Odini Method can be used to penetrate devices within a Faraday cage. Plus, your phone will start transmitting the moment you take it out of the Faraday cage (i.e. whenever you use it). So, you won’t get privacy unless you are inside of a Faraday cage. Still, it’s pretty cool that Faraday cages can block phone and WiFi signals. Some universities are installing Faraday cages in their exam rooms to prevent cheating. And one clever bar user even built a Faraday cage around his entire bar! The idea was that maybe people would actually talk to each other once their phones were off. In 2015, the NY Times reported on how thieves can hack into doors which use wireless key fobs. All they need is a simple device. The device is called a power amplifier. It works by amplifying how far the door can search for the key. Normally the car can only search for a few feet. But, as Wired reports, with the amplifier the car can search for upwards of 300 feet. If your car is parked near your home, the amplifier allows the car to find the key inside your home. The key will unlock the door, giving thieves access. One solution is to keep your wireless key fobs in your freezer or microwave (which acts as a Faraday cage). 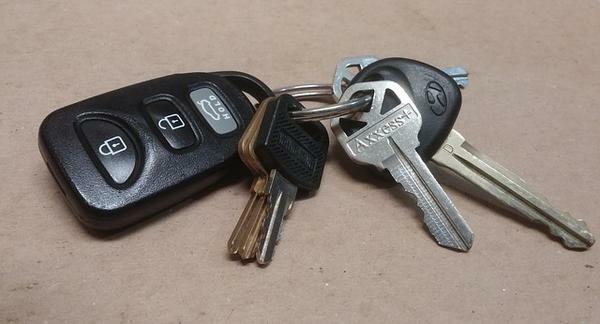 A better option would be to buy a Faraday key fob that will prevent amplifiers from accessing them. This RFID blocking key fob holder has good reviews, is affordable, and has a belt loop. This one has a clip to secure it. The fob is big enough to hold your phone too. Some credit cards contain RFID chips which allow you to make payments without actually swiping the card. The card just needs to be close enough to the terminal for the chip to be read. Likewise, US passports now contain RFID chips. From the moment RFID chips made their appearance, critics argued that there could be security risks. There were videos of hackers using devices to copy the RFID data. All they had to do was get close enough to you to scan the RFID chip (crowded subway ride, anyone?). Once the RFID chip was scanned, the hackers could create a clone card. Or, in the case of passports, make a clone passport and steal your identify. The proposed solution to this is to get an RFID-blocking wallet or put a sheath of aluminum foil in your wallet. While there have been plenty of stories about RFID card theft (like this one), there are also people who say that the threat is overblown or non-existent. For example, Roger Grimes at CSO says that “there’s no real RFID crime.” He implies that the threat is overblown to sell you expensive wallets and purses. Others, like LifeHacker, echo this claim saying that there is little evidence of RFID-based theft. They also note that modern contactless credit cards now have technology like one-time-use codes to prevent theft. So, should you get an RFID-blocking wallet? The risk of getting your RFID card or passport cloned is definitely overblown. But it still seems like there is a risk. It can’t hurt to take precautions and get an RFID-blocking wallet. I just wouldn’t pay a fortune for the feature. Heck, you don’t even need a new wallet. As the Washington Post pointed out, a sheet of tinfoil helps. One of reasons that Faraday cages get so much attention is for EMP protection. EMP stands for Electromagnetic Pulse. 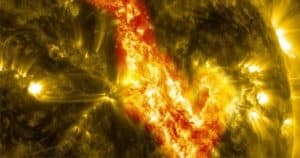 If you aren’t familiar with EMP, I suggest you read this article about EMP and its effects first. 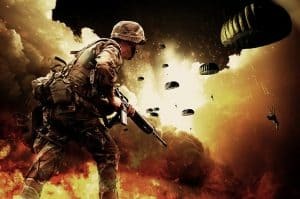 For example, Peter Vincent Pry, who heads the EMP Task Force on National and Homeland Security believes that an EMP event would kill 9 out of 10 Americans. 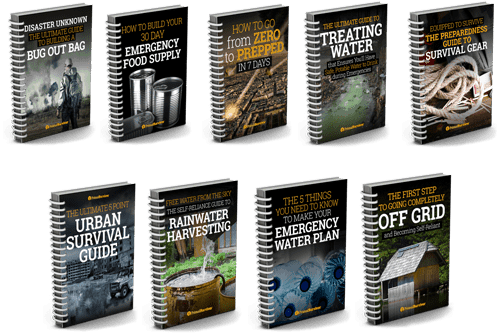 The event itself isn’t dangerous – it’s that we rely on the electric grid for everything from supplying municipal water to food distribution. Can a Faraday Cage Protect Against EMP? The simple answer is maybe. On one side, a Faraday cage could protect sensitive equipment from EMP. As NBC reports here, some utilities are already working on it – but safeguarding the grid from EMP would cost $10-$30 billion. The strength of a magnetic field often varies greatly across a given area, and the invisible lines of magnetic flux that constitute a magnetic field are often at inconvenient angles relative to the earth plane. Faraday cages only work because pulses of equal strength cancel each other out, the cage might fail if the pulse isn’t radiating over the cage equally. Further, even if a Faraday cage did keep your phone or other devices safe, what good will they be if the entire grid is down? It is fairly easy to make a Faraday cage at home. You basically just need a box made from a highly-conductive metal, such as aluminum. Many people have experimented with using things like refrigerators and microwave ovens as Faraday cages. For example, Makezine found that a crude tinfoil box worked to prevent the key fob hack. However, that was only for protecting against the key fob hack. 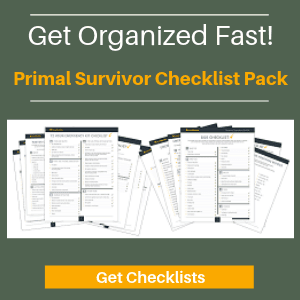 If you want to protect devices from a stronger electromagnetic fields, you’ll need something sturdier. For example, as MassLive reports, a police station tried to use a microwave oven as a Faraday cage to protect confiscated phones from being remotely wiped. Normal microwaves didn’t work. Only commercial grade microwaves worked. The Box Must Close Completely: If there is a gap anywhere in your Faraday cage, then signals will get in. Even tiny gaps at doors/openings can let signals through. Some people recommend using copper tape or aluminum foil to cover openings. You can use mesh to make your box (more on this below), so long as the mesh goes around the entire area. Using Mesh for a Faraday Cage: A Faraday cage does not have to be solid (hence the name cage). However, the holes in the mesh must be smaller than the wavelength you want to block. As a general rule, the mesh holes must be at most 1/10th of the wavelength you want to block. Most US key fobs transmit at 315megahertz, which has a wavelength of .95 meters. So, mesh with holes smaller than 9.5cm would work for a Faraday cage. Cellular wavelengths fall between 800 and 2400megahertz, which makes a wavelength of approximately 1 foot. You’d need to use a mesh which was 1/10th or less of foot. EMP from a nuclear or non-nuclear weapon could be below 100megahertz, which means the wavelength will be very short (possibly just a couple of centimeters). You’d have to use a very fine mesh or a solid container to block these wavelengths. For your Faraday cage to work well, it must be made out of a highly-conductive metal. *Note that silver is actually one of the most conductive metals. But I doubt you’ll be using silver to make a Faraday cage! Instead of making your own Faraday cage, you might just buy one. There are now plenty of options, particularly for shielding phones, laptops, and small items. Whether you make your own Faraday cage or buy one, you should test it to make sure it works. The simplest way to test a Faraday cage is to put an FM radio inside of it while it is tuned to a strong station. Once inside of the cage, the FM signal should stop. If you can still hear the radio, then the Faraday cage isn’t working. You can also try this test with a cell phone. Just put the phone inside the Faraday cage. It should not be able to receive any calls. Unfortunately, as pointed out here, testing a Faraday cage for EMP is much more difficult. You’d have to test it against high-magnitude waves at various frequencies. While many articles and blogs say they’ve “tested” a homemade Faraday cage for EMP, they really are just doing the cellphone test. We don’t know what would happen during an EMP event, so can only hope that a Faraday cages would protect devices. Are you using a Faraday cage to protect your electronics? Did you make it yourself? We’d love to hear from you in the comments section. What most people don’t understand is, an EMP pulse is DC current. Transformers on the grid operate (in the US) on 60 cycles “off-on” every second. They will short out if hit by DC current. The power lines act like a large antenna bringing the EMP right to the transformers. And instantly you have a dead transformer. There are not enough transformers in stock to get the grid up and running for months or years.